Some people say that Cannes is like the Florida of France. While I haven’t found a shuffleboard court or an old Catskills comedian yet, i’m starting to think it is because of the unpredictable weather. 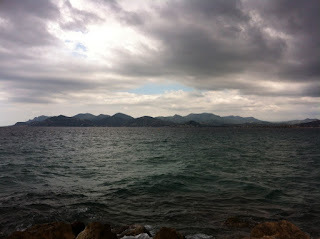 The bright and sunny morning quickly morphed into, hyperbolically speaking, a mini Monsoon. It has been this way for the past few days, and it seems to be showing no signs of slowing down. This means that it is perfect weather for a movie. Unfortunately, the day got off to a bad start, as I was swiftly rejected from a screening of “Safety Not Guarenteed,” despite having a ticket. This movie was a market screening, which is meant for buyers (usually from foreign markets) first, and patrons second. Guess I will have to deal with seeing it in the States when it opens later this summer. Last night, however, was marked with a fantastic screening of the director’s cut of Sergio Leone’s gangster epic “Once Upon a Time in America.” Unfortunately, I missed the screening in which Robert de Niro and Ennio Morricone introduced the film. But if attending film festivals has taught me anything, it is that life will be full of rejections and expectations not fulfilled, so it is best to relish what lies in front of us. And how beautiful this film looked on the big screen. This version contained a newly restored print, which looked as magnificent as ever. If anything, time has only made “Once Upon a Time in America” a better film. 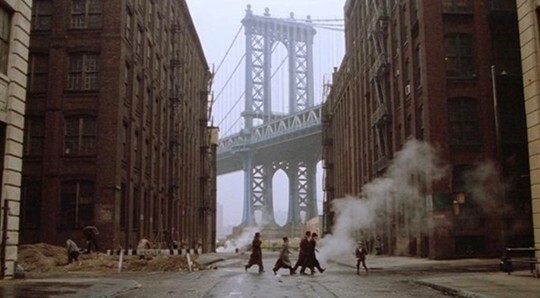 I was probably too young when I last watched “Once Upon a Time in America” in full (as with most films). I forgot how funny this film was. The scene in which Noodles (De Niro) and the gang switch out the babies at the hospital is like a master class at humor achieved without dialogue. Leone always showed a subtlely funny side in his past films, but it comes out here in full force. “Once Upon a Time in America” was Leone’s last film before his untimely death in 1989. It is his “Blade Runner,” as several director’s cuts have been released throughout the years. The original cut fell just under four hours. However, a butchered version was released in the U.S. in 1984 that ran at just 139 minutes. That version flopped and was panned by critics. A release of the original version established the film as a masterpiece. The latest director’s runs just over four hours. The newly restored version looks as if it could have been made today. However, the new scenes added in could not be fully restored, and look grainy and aged. However, the real significance in them is that they were found and could be added. “Once Upon a Time in America” is just about long enough as is, and some of the new scenes don’t necesarilly need to be there. A few have purpose and provide good background, but others, like the cemetary scene, break from the film’s smooth rhythm. Let me add that this may be the fastest four hours you ever spend at the movies. Some might argue that a lot could have been chopped down and this story could have been told effectively with a shorter running time. Some stories just need to be told with as much depth and detail as possble, and “Once Upon a Time in America” earns every minute of its running time. Leone has always been one of my favorite directors. I always saw him as a purely visual one, and a man who put in so much close detail into his backdrops above all else. That is not entirely true, he just finds out how to reveal character motivations and emotions without saying a single word. Leone was a maestro, a true artist, and one of the last directors from an era long gone. And while this was his last film, he most certainly ended his career in film with an unforgettable bang. See it, and on the biggest screen possible if you can. This entry was posted in Cannes Film Festival, Ennio Morricone, Once Upon a Time in America, Robert De Niro, Safety Not Guarenteed, Sergio Leone, The Reel Deal Goes to Cannes on May 20, 2012 by ian0592.